After leaving Barclay James Harvest, Wolstenholme joined Steve Broomhead, who contributed guitar, mandolin and vocals along with drummer, percussionist and vocalist Kim Turner in forming Maestoso, named after the track from their first album which Woolly always considered his magnum opus. Wolstenholme himself played keyboards, guitar and bass as well as supplying lead vocals. The album, issued in October 1980, was a mix of various styles, opening with the rocking “Sail Away” featuring Broomhead’s guitar and Wolstenholme’s keyboards, with vocal harmonies, delicate 12-string guitar, and gorgeous percussion add greatly to the melody. The keyboard intro of “Quiet Islands’’ is joined by Broomhead’s guitar with delicate vocals and melodic synthesizer adding texture. Broomhead contributes a tasteful solo, but it is Wolstenholme’s vocals and synthesizer that give the song its ethereal feel. The lyrical “A Prospect Of Whitby” is a combination of 12-string guitar, synthesizers, percussion and gentle vocals. “Lives On The Line” is a punchy number blending organ, bass and drums with a tasty lead line by Broomhead and a synthesizer solo leading to a feedback laden outro. “Patriots” is reminiscent of The Moody Blues with its mellotron intro, regal guitar, and crisp and clean vocals. “Gates Of heaven” is another rocker, with Broomhead’s guitar and Woolly’s synthesizer introducing its driving beat, nuanced mellotron supplying a great hook. The dramatic “American Express” showcases Broomhead’s lead line and restrained solo along with Wolstenholme’s mellotron and exquisite vocals. Guitar and keys along with Turner’s drums push the beat on the album’s title track, subtitled “A Hymn in the Roof of the World” which has a classical and majestic feel, Broomhead’s guitar roars and Turner pounds his kit before giving way to Wolstenholme’s vocals, resulting in a Moody Blues aura. “Waveform” is a lovely melody of piano and vocals, with a soothing guitar outro. “Even In The Night” recorded live in 1982 has hot electric guitar and nicely echoed vocals, with Broomhead’s swirling mid-tune solo shining. Disc one closes with the introspective “Has To Be A Reason” recorded the same night, with a King Crimson vibe thanks to Broomhead’s growling lead guitar and chugging solo. 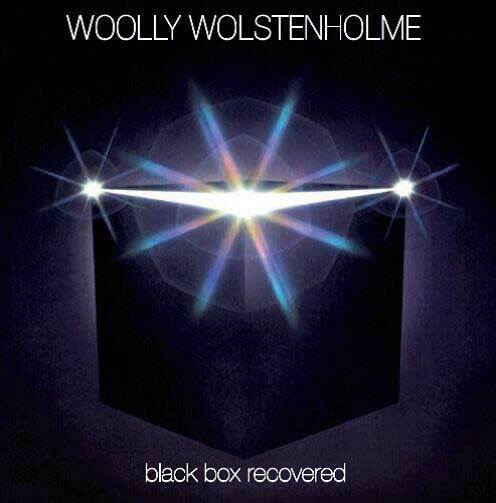 Wolstenholme recorded a second album to be titled “Black Box” in 1980, but disillusioned with the music industry, he took up farming and it would be June 1994 before the LP saw release, credited simply to Woolly under the title “Black Box Recovered” with bassist Terry Grady joining Woolly, Broomhead and Turner. The seventeen tracks were comprised of the nine intended for “Black Box” as well unreleased tunes, live takes, and demos. The opening track “Deceivers All” was Wolstenholme’s six minute sideswipe at record labels, with its haunting melody and vocals joined by Broomhead’s lead guitar, resulting in a soothing clean sound. The studio take of “Has To Be A Reason” is a great piece of prog with Woolly’s keyboards, Broomhead’s guitar and Turrner’s drums building a heavy beat leading to a Moody’s style outro. Echoed guitar and gentle vocal harmonies define “Down The Line.” Ethereal vocals, gentle keyboards and restrained guitar give “All Got Burned” an Al Stewart feel. 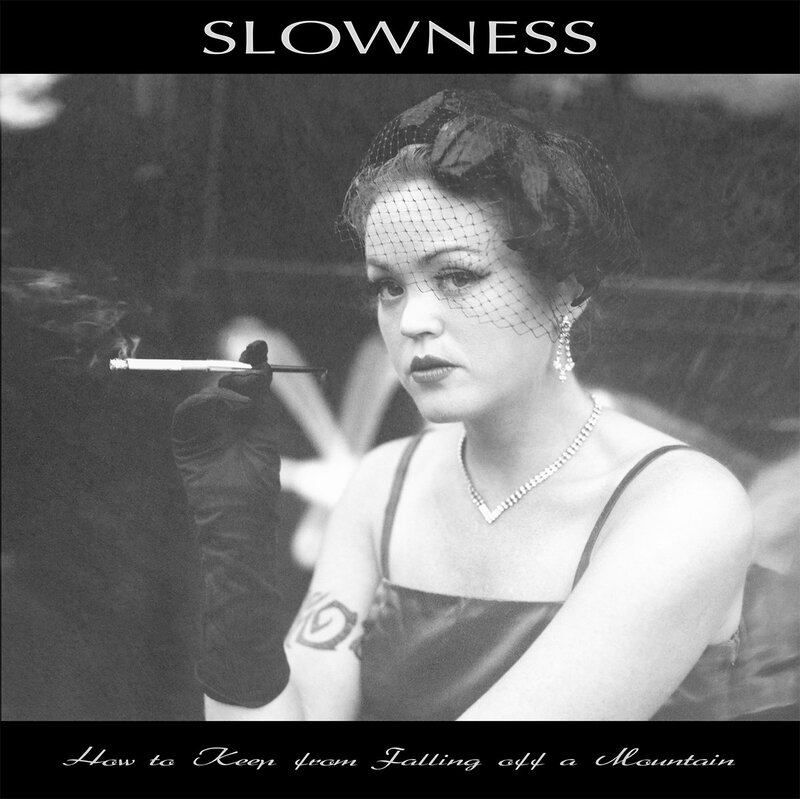 The six minute “Too Much, Too Loud, Too Late” has a repeated keyboard riff, textured percussion, restrained guitar and luscious vocal harmonies. “Even The Night” is a lilting, haunting melody with relaxed vocals by Woolly and delicate guitar “The Will To Fly” is relaxing tune with soothing guitar and vocals. “The Sunday Bells” is a mid-tempo, acoustic song with mellotron added for texture. “Open” has grand, church style organ reminiscent of Procol Harum, reverberated guitar and gentle vocals. Bonus tracks include “Why Remain” a lovely unfinished take featuring Woolly on piano and vocals. Demo versions of “Sail Away” “A Prospect Of Whitby” “Patriots” “Quiet Island” “American Excess” “Lives On The Line” and “Deceivers All” follow, the disc closing with “Bootham Park Elegy” a classically influenced, tune with Woolly on guitar, vocals and mellotron, a peaceful tale of solitude. 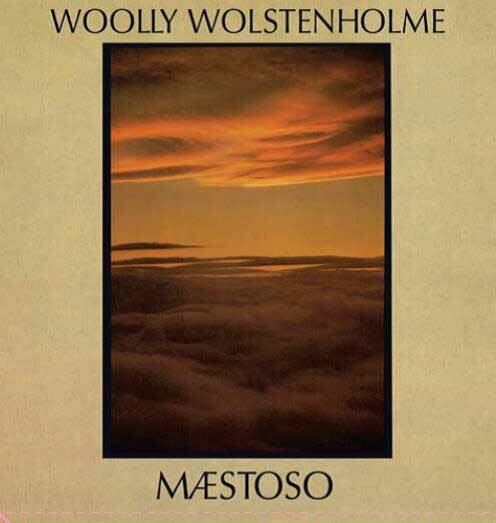 In late 2003, Woolly formed a new version of Maestoso, retaining Steve Broomhead on guitars and vocals, adding a new rhythm section with Craig Fletcher on bass and vocals and Kevin Whitehead on drums and vocals, with Woolly contributing vocals, mellotron, guitar and keyboards. 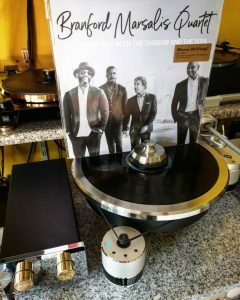 This quartet released “One Drop In A Dry World” in June 2004. The album opens with the short and gentle “The Bells, The Bells.” The Moody Blues influence is apparent on “Blood & Bones” with its mix of mellotron,guitars, and Woolly’s vocals. “A Waiting Game” is a delightful mix of delicate acoustic guitar and vocals with orchestral backing. “It’s Up To You (Sixties Mix)” has a driving beat, with two tasty solos by Broomhead. “Souk” features a heavy guitar riff mixed with gorgeous mellotron and vocals. Think Al Stewart mixed with The Moodies. “One Drop In A Dry World (Interval)” has guitar and mellotron accompanying Woolly’s melancholy vocals. “A.N.S.S.” has a breezy feeling with mellotron, keys and vocal harmonies and Broomhead’s restrained solo. “The End Of The Road” is a mid-tempo tune with a tasteful solo by Broomhead and delicate vocals. “Exposure” features ringing guitars and overdubbed vocals in a tale of life’s adventures. “2 am” is a melancholy folk song sounding other worldly with its mix of vocals, mellotron and acoustic guitars. “The Starving People Of The World” has a driving beat with pounding drums, Broomhead’s guitar and Wolstenholme’s mellotron. “Carpet (A Four Gong Conclusion)” closes the album on a heavy note with unrestrained guitar as Woolly contemplates life with “it was a magic carpet ride, but all your deeds were fratricide, you’re like a train stuck on the track, you can’t go forward won’t go back, was it the money, was it the fame that made you play another game, and now the sands of time have run, your face is in your setting sun.”, The band cuts loose with Broomhead’s solo soaring and Woolly’s mellotron delivering the final blow. The band was set to do a short tour, but poor ticket sales resulted in only one gig, at The Mean Fiddler in London Fortunately, the band’s set was straight to DAT from the mixing board and released as an unmixed “warts and all” CD titled “Fiddling Meanly-Live At The Mean Fiddler” released in limited edition in February 2005. To fill the band’s sound, keyboard player Jeff Leach was added.. The fourteen tracks by the band were well received. “Abendrot” is a short spoken intro, followed by the snappy mellotron and percussion dominated “The Bells.” The band delivers a rocking take on “Deceivers All” with Broomhead’s guitar and Turner’s drums booming over Woolly’s lilting vocals and mellotron. “Has To Be A Reason” rocks with a keyboard and drum intro. 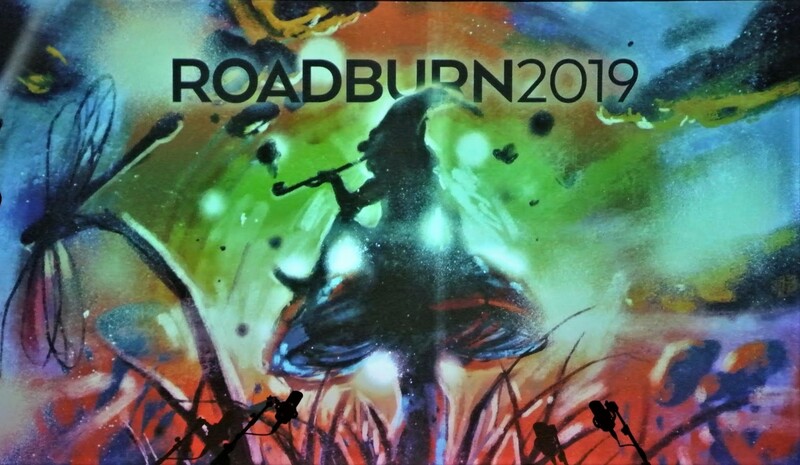 What follows is five minutes of great prog rock in the vein of ELP and King Crimson with a nice smattering of Procol Harum, Broomhead’s guitar blazing and Wolstenholme’s vocals bringing Gary Brooker to mind. “In Search Of England” is a sprite keyboard tune with gentle vocals, Broomhead deliversinga brilliant solot. “The Iron Maiden” is a mellow number with mellotron joined by meek acoustic guitar and lovely vocals. “Sunday Bells” is another gentle tune with acoustic guitar and mellotron accompanying delicate vocals. “Poor Wages” is a wonderful blend of folk and straight ahead rock, with Broomhead alternating between restrained and full out assault, delivering two hard edged solos. “The Poet/After The Day” is an eleven minute medley that affords the band the chance to show its versatility, the first tune showing its folk side until Broomhead cuts loose with a gorgeous solo that leads to a false stop, the tempo slowing before Broomhead again takes center stage,,the song ending with an incendiary guitar solo. “The Will To Fly” is Wolstenholme at his best, his delicate keyboards and vocals the center of this forlorn tune. “A Prospect Of Willy” is an acoustic number with nice drum rolls from Turner. ‘Harbour” features acoustic guitar and gorgeous vocal harmonies, the introspective number’s vocals bringing Pete Townshend to mind, as the band repeats the chorus “faces in our setting sun” with the crowd joining in. 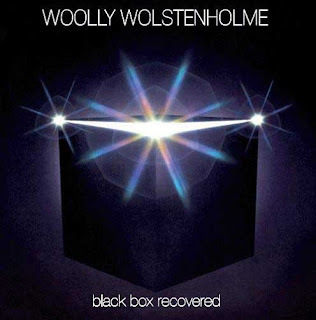 Woolly does a relaxed run through “Early Morning” a song from his Barclay James Harvest days, his gentle vocals, acoustic guitar and mellotron carrying the tune until Broomhead’s electric guitar joins and soars throughout the tune’s last minute and a half. The final track is the aptly titled “Big Organ End” which features Woolly and his regal church organ. “Fiddling Meanly” serves as an excellent document of Woolly at his best. October 2005 saw Maestoso’s next release, featuring the quartet of Woolly, Broomhead, Fletcher and Turner. “Coming Soon To A Cinema Near You” features a female chorus on a light hearted folk number. “Through A Storm” is an introspective number, the band alternating between heavy and more gentle grooves, with Broomhead’s guitar delivering massive solos twice in the tune as Woolly contemplates his mortality. “Love Is” features vocals again reminiscent of Pete Townshend’s solo work in this light hearted examination of love, before Broomhead’s guitar solo drives the tune home. The tempo of “A Lark” builds with drums, organ and chugging guitar leading to a false stop, when strings enter, adding texture to the acoustic sound with electric guitar over the top. “That’s The Price You Pay” is a relaxed introspective song with mandolin adding to its ambience. “The Iceman” is a driving folk rocker with a stinging lead guitar entering mid-song, a short fuzzed out solo giving way as the tune returns to its folk roots. “Hebden Bridge” is a great folk rocker with Broomhead’s swirling solo filliing the song’s last two minutes. “Lout” is a short unaccompanied acoustic work by Woolly. “Harp And Carp” is a folk tune featuring a false stop, followed by an acapella section before Broomhead’s guitar takes charge joined by Wolstenholme’s organ. “Birds” is a short acoustic folk ditty. “Location, location, location” finds Broomhead’s chugging guitar roaring until Broomhead’s slide guitar takes over. “Abendrot” begins as a gentle folk number with synthesizer, Broomhead’s lead guitar joining a minute in, his solo roaring to a crescendo on the LP’s heaviest number. “Marsch Burleske” features bull fiddle by Fletcher and trumpet by Woolly, turning to a march with the addition of percussion and mellotron. “Pas de Deux” features Wolstenholme joined by a female vocalist as they contemplate a relationship and people at different places in life, the melancholy melody filled with classical influence. 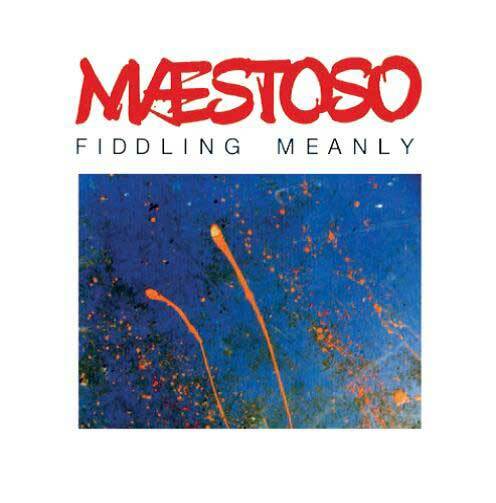 November 2007 brought the final Maestoso LP “Caterwauling,” The personnel were the same as “Fiddling Madly” and “Grim” with guitarist Steve Broomhead adding theremin and drummer Kim Turner adding keyboards to their contributions. The album opens with a short, nearly imperceptible, humorous snippet which became the title track. The second track is the longest on the album, running more than eleven and a half minutes, and is in essence a suite of movements. The opening section, well over a minute long features heavy guitar, bass, drums and synthesizer, and is dissonant. At the 1:45 mark, however, Broomhead takes over with lead guitar accompanied by synthesizer, bass and drums, roaming the musical spectrum in a hard edged specticle. At the four minute mark the tempo begins slowing to a false stop, before Woolly’s vocals return, folk style, with a discussion regarding a young man’s plight, “wonder what becomes of me, a tinker, a tailor, a soldier boy? Fought at Agincourt, Mastin Moor and Waterloo for flag and for country.” The classic mercenary’s tale. At the 8:15 mark the soaring guitar takes over until it slows momentarily, only for the screaming guitar to return, joined by dissonant keyboards, bass and drums, the song having done a complete 360, a breathtaking number. “The Road To Nowhere” is social commentary about a young man who went to war, was wounded and became the town drunk, who for a pint will tell it all. “Matilda Yarrow” is the tale of a one night stand, a folk number with gorgeous vocals, mellotron and ringing acoustic guitar. 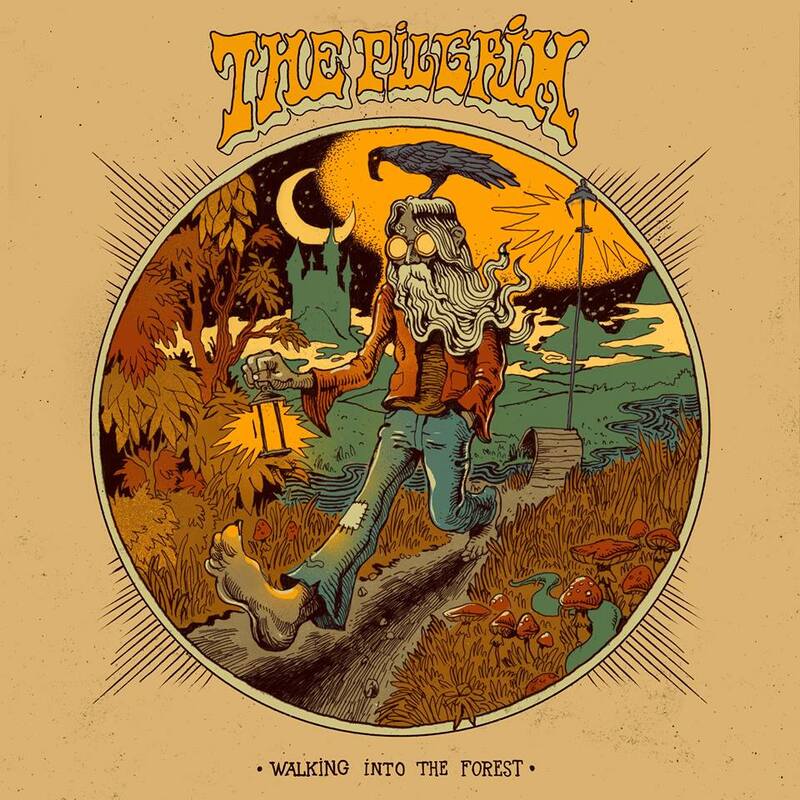 “The Collector” returns to heavy guitar, bass and drums. Broomhead supplying a monster solo leading to a feedback laden ending. “Closure” is Woolly’s tale of an unfaithful lover and years of misery, concluding his songs of love were for naught, placing the blame on himself and even thanking his lover for showing him the door. “Always” is a lyrically introspective tune, “I will wait for you all my days, I will wait for you always,” Broomhead accentuating the song with a heady solo. “I Don’t Like You” opens with mandolin as Woolly muses “I don’t like you, but I love you, so where do we go from here?” His introspection continues “the days of wine and roses are over, through a clouded glass we may view them afar. I don’t need you yet I want you, please be with me but don’t get too near.” Woolly examines relationships and the nature of love with “Tonight Could Be The Night” a heavy number with driving guitar, organ, bass and drums, complemented by Broomhead’s mandolin. “Shoes” is Wolstenholme contemplating mortality, punctuated by Broomhead’s solo that builds to a crescendo. The box set’s title track “Strange Worlds” opens with Broomhead on theremin, then settling into a heavy riff. “Quicksand” has synthesizers filling the air, guitars and keyboards picking up the pace with a “Ziggy Stardust” feel. “Blossom Hill” is a gorgeous folk tune of acoustic guitars and beautiful vocals, another introspective look at aging and death “on Blossom Hill red pales the gray, how dark the night, how dead the day” Further, “stars shine for all until they fall, and fall they will on Blossom Hill.” The album closer “Pills” is Woolly’s introspective look at mental health and contemplation of suicide. He begins “warning if you are of a nervous disposition or on certain medications do not venture beyond this point, however this may be just what you need, think Freud not paranoid and we’re certain to pull you through, and pills can be fun, your life wunderschon, these pills will do the trick but you must be a willing lunatic, take one, take two and I’m sure a cure you’ll find, but if not take a lot and your troubles will be behind you.” As the final track on Woolly’s final album, the effect is eerie. Filled with introspection, examinations of love, the meaning of life and the frailty of the human condition, “Caterwauling” is Wolstenholme’s most fulfilling album, both musically and lyrically. One can only wonder what would have been in his musical future? Completed at age 60, by age 63 he would be gone. Disc seven of the set contains twenty demos and song fragments recorded by Woolly on vocals, keyboards, guitars and bass. The five minute take of “The Streets Of This Town” has a heavy groove with keyboard accents and interesting tempo changes. Sadly, the lyrics were never completed. “Bryan MacLean” is his tribute to the rhythm guitarist/songwriter from Love, and features gorgeous mellotron and harpsichord. “Faith, Hope And Charity” is a snappy rocker, just Woolly, his guitar and mellotron. “It’s A Dream (Robbie’s Song)” has a smoking guitar solo and sounds like a finished product, but somehow was never released. The closing track “Death In Oldham” from the Barclay James Harvest years is filled with synthesizers and mellotron and majestic organ. Unfortunately it never made it onto an album. 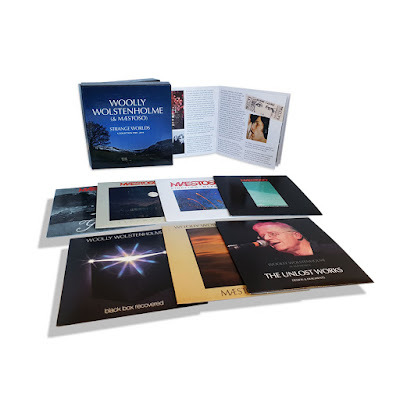 “Strange Worlds” comes in a clamshell box, with a 20-page full color booklet, containing an essay by Keith and Monica Domone, and lots of gorgeous photos of the band plus detailed track by track annotations. The sound is incredible, a given with Esoteric Recordings releases. This set will be of special interest to fans of folk and progressive rock as well as fans of Barclay James Harvest and especially anyone familiar with Woolly Wolstenholme and documents the works of an incredible songwriter who sadly was a most tortured soul..
Nice review, interesting release that looks worth checking out.